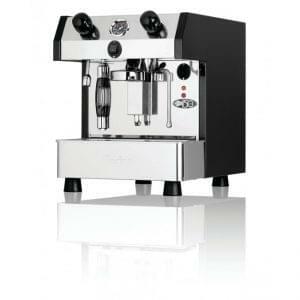 Fully automatic espresso coffee machine with a 2 group electronic switchboard which can easily control dosages by volume. An energy-efficient machine which lowers power consumption by over 50%, helping both the environment and your expenditure. Available now to rent or lease at a low price. Finance options are available too. Installation, training and onsite repairs are all part of the package. 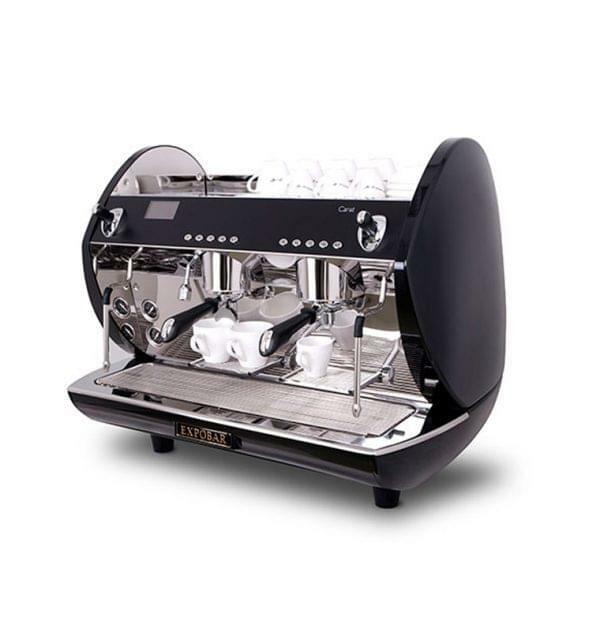 Expobar manufacture superb, reliable commercial coffee machines. The Carat range from Expobar provide a superb performance with a lower level of CO2. They use 50% less energy than their counterparts, equally a saving of approximately £315 per year. 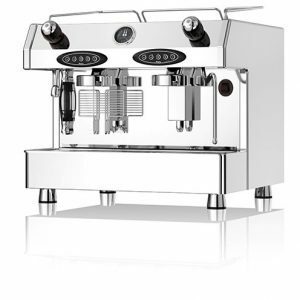 The Carat are stylish machines, with state of the art, high-end low-energy technological improvements, including PID boiler control and the turbo steam arm for automatic milk frothing. 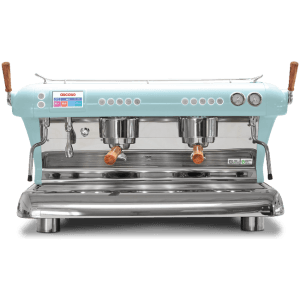 The Carat 2 is supplied with 2 groupheads which each have electronic control via the built in keypads and control dosage in volumetric measures. The Carat also provides memorisation of total brewed coffees, daily automatic ON/OFF and control of the boiler via display. 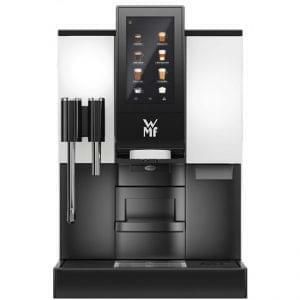 The digital display allows dosing of hot water, time management and memorisation of total brewed coffees, automatic ON/OFF and control of boiler temperature.